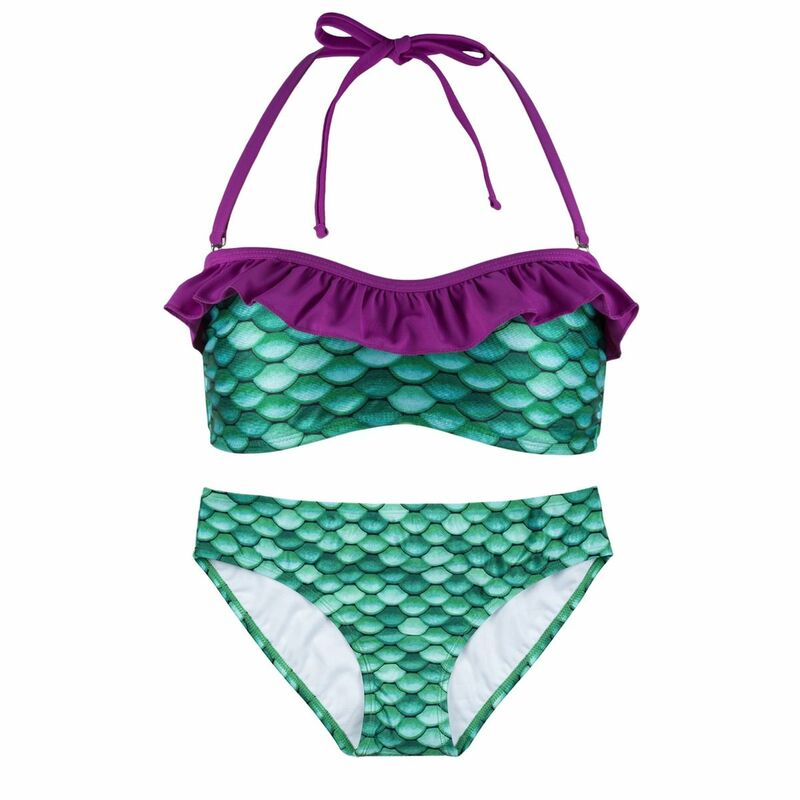 Show your friends what real mermaids look like dressed in this mermaid-scale bikini set of mint and emerald scales, featuring a trendy purple ruffle. If Ariel owned mermaid bikini swimwear, she’d likely choose this Celtic Green Bandeau Set featuring scales of classic green topped with a ruffle accent in an energetic grape hue! Its soft, scale pattern of mint and emerald draws inspiration from the captivating shades of green plant life found at the bottom of the sea floor! Pair this set with our new Celtic Green mermaid tail for the ultimate mermaid makeover everyone will envy! When you’re in need of a mermaid tail swimsuit—look no further than Fin Fun! Our premium fabrics are fade-resistant, fully lined, and stretch four ways for the ultimate durability and function when you’re out mermaiding! You can count on quality when you order from the number one maker of mermaid tails worldwide!